Aluminum with sky blue finish and polished chrome points. 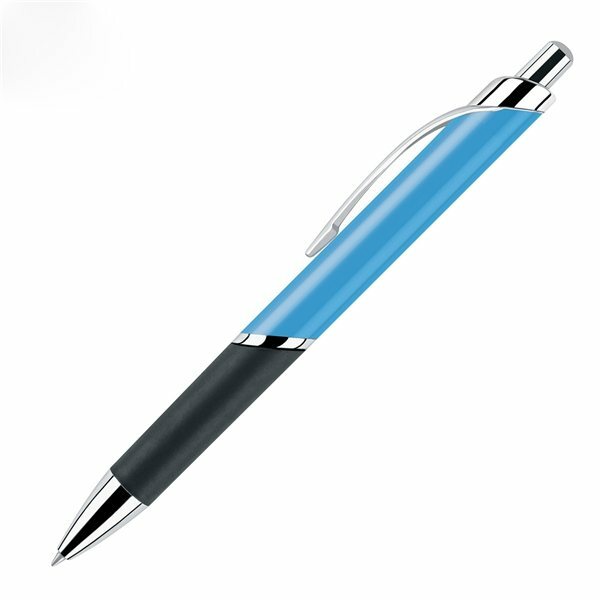 Nice design, comfortable and easy to write with. Green wrapping with white logo - very sharp. Unique compared to other giveaways. It's perfect. these are great quality and were very popular with our group. Highly recommend!!!! Even though I ordered navy blue and got black, I won't complain because they were a very good price. Everybody loves the products. Buying was simple. Will order again in the future.